Hi Mark, thanks for answering a few questions for us. Can you tell us a bit about your background pre-Worldteachers? My background was sport and leisure before I pursued a career as a Physical Education teacher. In this I have had the opportunity to work in all the Key Stages of the curriculum, delivery both core and examination PE. As well as working in England I also completed 6 summers working at a Summer camp in New York. I had the role of Head Counsellor and then went on to plan and deliver a new training program for young adults who have the desire to be a summer camp counsellor at camp. It was upon returning from my final summer in the USA that I saw the opportunity to work with Worldteachers. My own experiences travelling made it seem like a perfect fit, working in Education with a company that helps you gain valuable cultural and professional experiences around the world. I found world teachers through the TES site; I wanted to have the enjoyment that comes with trying new countries and cultures. It develops a person’s character and ability to adapt to changing worlds. In education this is a great attribute to have and you get all this by just being open to travel. What offers/interest did you receive, were you happy with the offers, and what made you choose Madrid? I was very happy with the offer. Although contracts were only ever for one academic year it was still a good offer for a short term commitment. I chose Madrid as it was a place I had not seen; Spain is in the EU which made things easier; and if I ever needed I could be home within a couple of hours. Also Madrid is awesome! 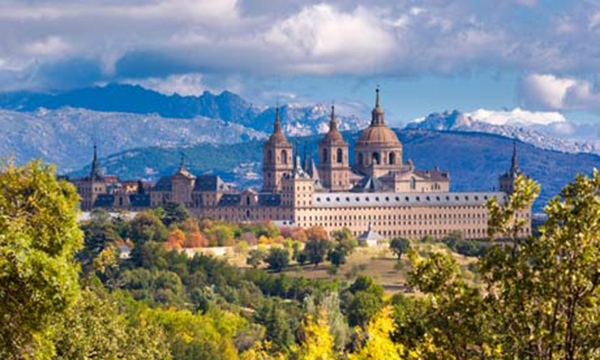 What was the highlight of your time teaching in Madrid? Festivals and Spanish culture; learning (somewhat) a new language; Making many friends from around the world; gaining insight into a new curriculum and styles of teaching. I learnt a lot about myself as a teacher from older Spanish teachers; I gained many communication skills by dealing with students day to day who struggled to speak any English to me. Also, I know its cliché but going to watch Real Madrid play Manchester City in the Champions league at the Bernabeu Stadium. Amazing! Yes, Worldteachers are very helpful and efficient. They know what they are doing and are always there to help, if they can. Should I find myself looking for a new experience it’s where I will look first. Travelling around the world teaching is not for everyone and at times it can be tough, but my positive experiences and memories outweigh all of the harder times combined. If you are already thinking about doing it, then it’s not a pipe dream and very soon you could be anywhere. Take the plunge and realise what so many do not, and that is that teaching opens more doors to more countries than most jobs out there. You have worked hard to qualify, now go reward yourself with a year or more doing something not many have the drive to do. Not only that, be successful at it. When you return home as I did, you are more rounded, more open minded and more employable. We would like to thank Mark for taking the time to answer our questions. Do you fancy following in Mark's footsteps and starting out on the path to teach abroad? Don't miss our current vacancies & apply online today!